A young boy has lost an eye after being shot by a toy weapon in two freak accidents. 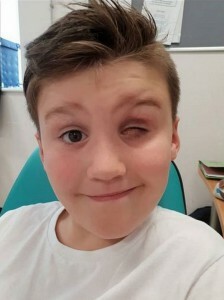 Taylor-Jay Ravicini, 9, from Swansea in Wales, was blinded in his left eye after being hit by a toy arrow at the age of three. “The first time it was a freak accident. I was there with my three children and everything just happened in a flash,” his 35-year-old mother Stacey said. In August, Taylor was playing when his friend shot a Nerf gun pellet at his damaged eye, injuring it even further. This time his eye was too damaged and had to be removed. 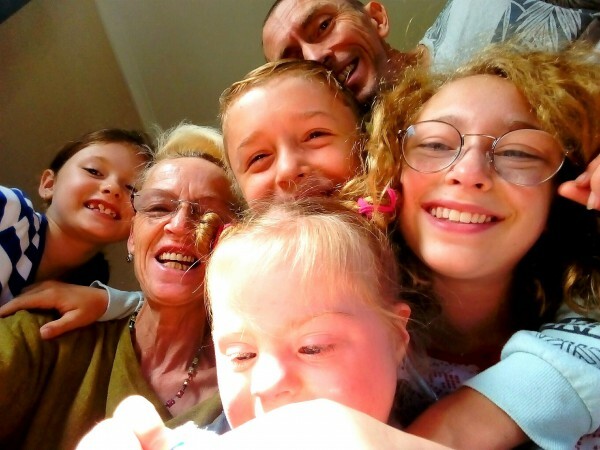 “What are the chances of an accident happening twice in the same eye?” Stacey said. “I was downstairs and I heard a devastating scream and my heart sunk, I couldn’t even go to see him, I sent my partner as I knew something had happened. “Taylor’s eye was full of blood and it was causing a build up of pressure. Stacey is fundraising for a more convincing prosthetic eye after some students started bullying Taylor. The concerned mother is desperate to ensure Taylor’s welfare. “I really don’t want people thinking I am a bad mother,” she said. Poor little boy. Hope Taylor is okay and he gets a natural looking prosthetic eye. Must be hard for the family. 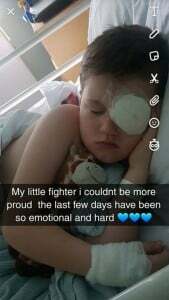 Aw bless, my heart goes out to this boy and his family. And how sad kids started to bully him ! Hope he gets a beautiful prosthetic eye soon ! If his eye was still injured, wouldn’t you put the guns away until it was ok again? After you just saw how easily it happened by accident? That’s horrible – I’ve never liked Nerf – they can hurt when they hit you! I don’t like these toy guns and I’m sorry to hear about the little boy. One would have thought that due to the first accident, they young lad would know not to aim a gun at anyone, let alone himself. It is hard to believe this happened twice. This is why you should not aim at people. Where is the fundraiser link?